Rodion Romanovich Raskolnikov, a former student, lives in a tiny garret on the top floor of a run-down apartment building in St. Petersburg. He is sickly, dressed in rags, short on money, and talks to himself, but he is also handsome, proud, and intelligent. He is planning on committing a murder with a singular purpose – to reaffirm his belief that he is a kind of “Superman”, above mere mortals. 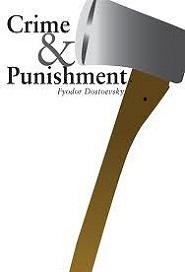 After he goes through with his plans, Raskolnikov feels the guilt gnawing at his psyche. Will he confess to the authorities, or will he be able to keep calm under fire?